Bingley01274 437942work TownBingley was probably founded in Saxon times; certainly its name is Saxon in origin, meaning "Bing's clearing", though this would not be the original spelling or pronunciation of Bing. Bingley is thought to have been founded around a ford on the River Aire. Bingley became a Market town with the grant of a Market Charter in 1212 by King John. One of the oldest buildings in Bingley is the coaching inn the Old White Horse Inn, both conveniently situated on the flatter north side of Ireland Bridge. 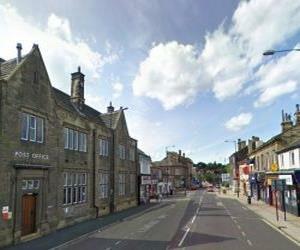 Like most towns of the West Riding, Bingley prospered from the Industrial Revolution. The Leeds and Liverpool Canal was constructed in 1774. It travels through the centre of Bingley & then climbs dramatically up the side of the valley in the famous Bingley Five Rise Locks and not quite so famous Bingley Three Rise Locks. Several Woolen mills were founded and people migrated in from the surrounding countryside to work in the mills. Today Bingley has lots to offer, with its excellent shops and restaurants. Try the Potting Shed on the Main Street, serving homemade food including freshly made pizzas from a wood fired pizza oven. Or the Brown Cow public house that is dog friendly on walking routes serving traditional pub grub with a great selection of Timothy Taylor ales. Take a walk along the Leeds-Liverpool Canal and admire Five Rise Locks or enjoy a stroll in Myrtle Park. Myrtle Park is the location for the Bingley Show, one of the largest agricultural shows in Yorkshire. The town is also a great base for exploring neighbouring Bradford, Ilkley and Haworth. Bingley is also a short distance from Saltaire, UNESCO World Heritage Site. Bingley was probably founded in Saxon times; certainly its name is Saxon in origin, meaning "Bing's clearing", though this would not be the original spelling or pronunciation of Bing. Bingley is thought to have been founded around a ford on the River Aire.